In this case, the JINGdigital’s brand is a resort operator. Its properties are situated amidst gorgeous natural scenery, bringing guests into close contact with Mother Nature. On China’s Double 12 shopping holiday in 2017, they offered an exclusive promotion. Potential customers jumped at the opportunity to stay at one of its well-regarded resorts. JINGdigital’s software products blew this client away: they managed to upsell package upgrades to 75% of those who purchased the promotion, and 100% of them were satisfied! The “Customer Journey” is the key to everything. It bridges the gap between brands and their customers, and it lets them know that their satisfaction is of utmost importance. 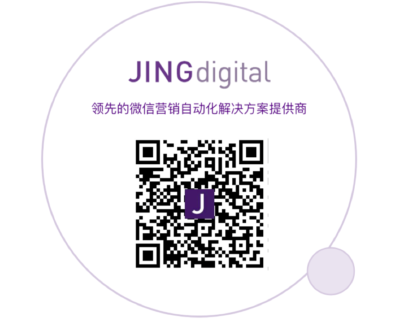 After successfully completing payment, the customer is redirected to a webpage with a JINGdigital QR code, linked to the brand’s official WeChat account. Scanning the QR code directs customers down a tailored and specialized service path, designed to provide a better customer service experience. 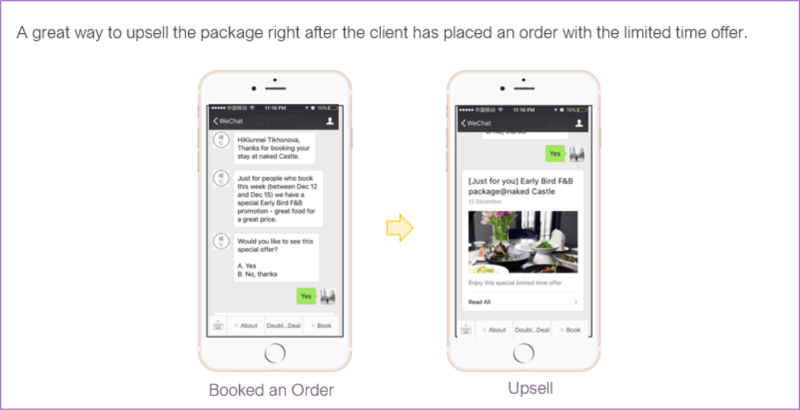 As the conversation proceeds, the chat bot starts to upsell the customer on add-ons (meal plans, activities, and excursions), priced at a discount. Thanks to the chat bot, the guest now has a good feel for their destination. Why not spend a little extra money to make their trip even more comfortable? 75% of guests agreed! Once the customer takes advantage of an offer, their information – reservation details, payment information, telephone communications with the brand – will be integrated into the brand’s WeChat Official Account, which then interfaces with the customer. 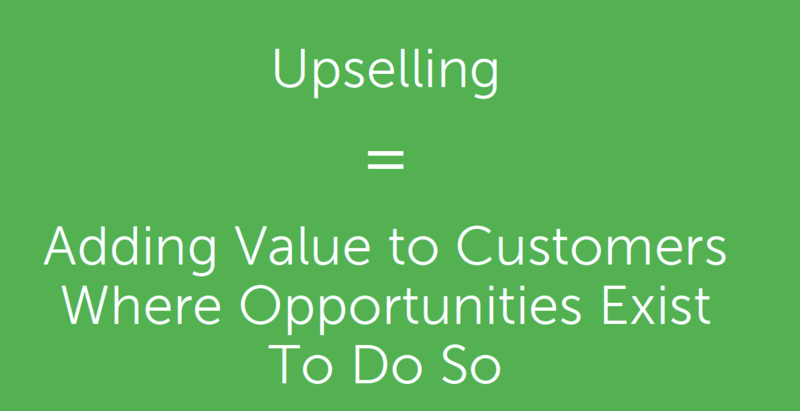 When executed poorly, upselling can infuriate customers. Much of the reason lies in the fact that brands don’t truly understand the individual needs of their consumers. JINGdigital aims to – and succeeds at – using marketing automation technology to ensure brands know what their customers want.